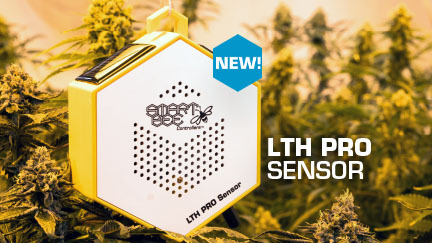 The New LTH Pro Sensor provides monitoring and control for light, temperature, humidity, VPD, and CO2 with the added feature of a PAR sensor input. The LTH Pro can also provide readings for PAR, PPFD (Photosynthetic Photon Flux Density) and DLI (Daily Light Integral) when paired with the Apogee Par Sensor (sold separately). Apogee Instruments Quantum Sensors provide accurate and cost-effective measurement of photosynthetically active radiation (PAR) from all light sources used to grow plants. Integrates with multiple LTH or LTH+CO2 sensors for individual and aggregate sensor data logging directly to your phone or tablet.